Sony - SDX-500C SONY - AIT2 50/100GB SCSI 140LVD/SE INTERNAL TAPE DRIVE (SDX-500C). IN STOCK. SAME DAY SHIPPING. 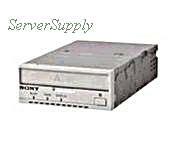 Sony - SDX-500CL SONY - 50/100GB AIT-2 SCSI/LVD INTERNAL HH LOADER READY TAPE DRIVE (SDX-500C/L). IN STOCK. SAME DAY SHIPPING. 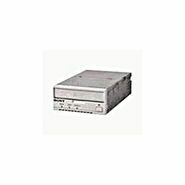 Sony - SDX-510C SONY - AIT2 50/100GB SCSI DIFF INTERNAL LOADER READY DRIVE (SDX-510C). IN STOCK. SAME DAY SHIPPING. 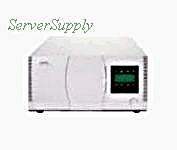 Sony - SDX-510CL SONY - 50/100GB AIT-2 SCSI DIFFERENTIAL LOADER READY DRIVE (SDX-510CL). IN STOCK. SAME DAY SHIPPING. Hewlett Packard - 157766-B22 HP/COMPAQ - AIT2 50/100GB LVD INTERNAL 8MM SCSI TAPE DRIVE (157766-B22). IN STOCK. SAME DAY SHIPPING. Hewlett Packard - 157766-B21 HP/COMPAQ - 50/100GB AIT-2 8MM SCSI LVD/SE INTERNAL TAPE DRIVE (157766-B21). IN STOCK. SAME DAY SHIPPING. Hewlett Packard - 153612-006 HP/COMPAQ - 50/100GB AIT 2 SCSI LVD LOADER FOR SSL2020 TAPE DRIVE (153612-006). IN STOCK. SAME DAY SHIPPING. 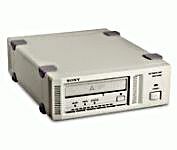 Sony - SDX-S500C SONY - 50/100GB AIT-2 SCSI LVD EXTERNAL TAPE DRIVE (SDX-S500C). IN STOCK. SHIP SAME DAY. Sony - SDX-D500C SONY - AIT-2 50/100GB ULTRA SCSI LVD EXTERNAL TAPE DRIVE (SDX-D500C). IN STOCK. SHIP SAME DAY. Hewlett Packard - 215487-B21 HP/COMPAQ - 50/100GB HOT PLUGGABLE (CARBON) AIT-2 SCSI-LVD/SE INTERNAL 8MM TAPE DRIVE (215487-B21). IN STOCK. SAME DAY SHIPPING. 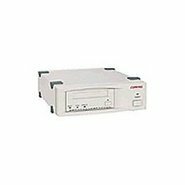 Hewlett Packard - 153615-001 HP/COMPAQ - AIT-2 50/100 GB SCSI EXTERNAL TAPE DRIVE (153615-001). REFURBISHED. IN STOCK. SAME DAY SHIPPING. Compaq - 169029-001 50/100GB AIT-2 SCSI LVD TAPE DRIVE PN: 169029-001. 153612-002. Hewlett Packard - 159611-001 HP/COMPAQ - STORAGEWORKS 50/100GB SCSI AIT-2 EXTERNAL OPAL CARBON TAPE DRIVE (159611-001). IN STOCK. SAME DAY SHIPPING. Hewlett Packard - 159611-005 HP/COMPAQ - AIT-2 50/100GB SCSI EXTERNAL CARBON TAPE DRIVE (159611-005). IN STOCK. SHIP SAME DAY. Hewlett Packard - 175195-B21 HP/COMPAQ - SSL2020 AUTOMATED 50/100 GB AIT 20-SLOT SCSI EXTERNAL TABLE TOP AIT LIBRARY (175195-B21). REFURBISHED. IN STOCK. SAME DAY SHIPPING. Hewlett Packard - 175195-B22 HP/COMPAQ - 50/100GB LVD SSL2020 DUAL AIT-2 20 SLOTS TABLETOP SCSI EXTERNAL LOW VOLTAGE DIFFERENTIAL AIT TAPE LIBRARY (175195-B22). IN STOCK. SAME DAY SHIPPING.